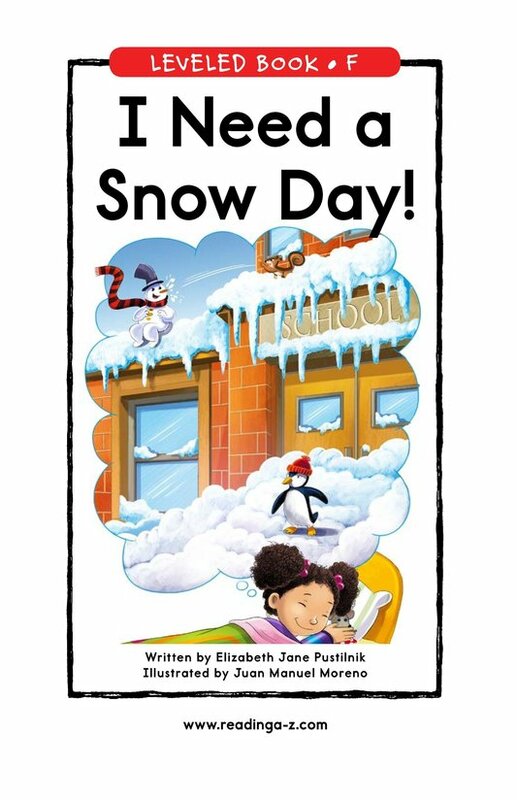 > Books > Leveled Books > Level F > I Need a Snow Day! 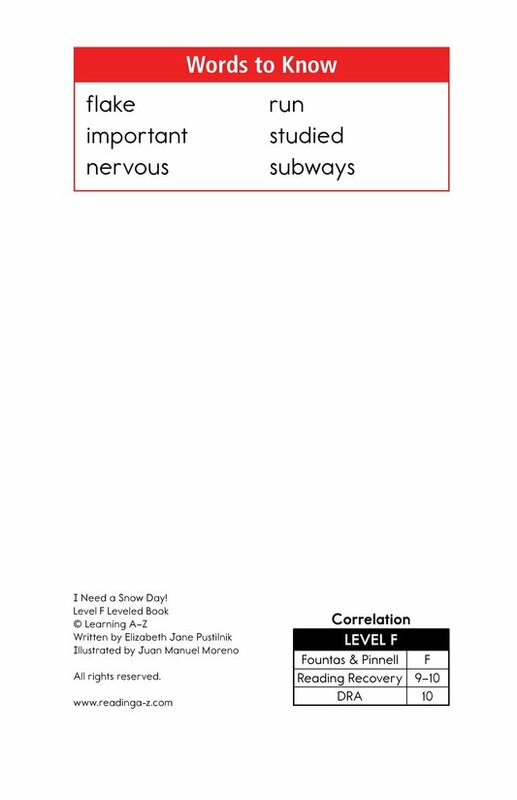 Have you ever been nervous about something and wished for an excuse to avoid it? 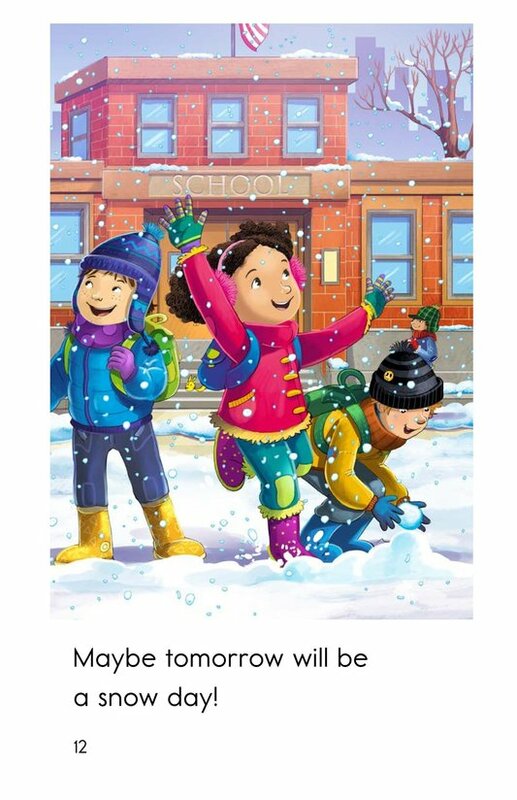 That's exactly what happens to the girl in I Need a Snow Day! 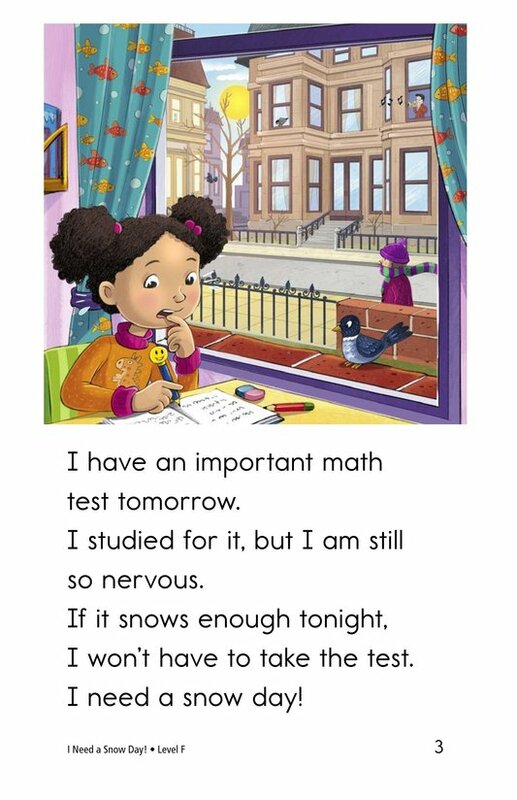 Feeling nervous about her math test, she wishes for a snow day so she can miss school. 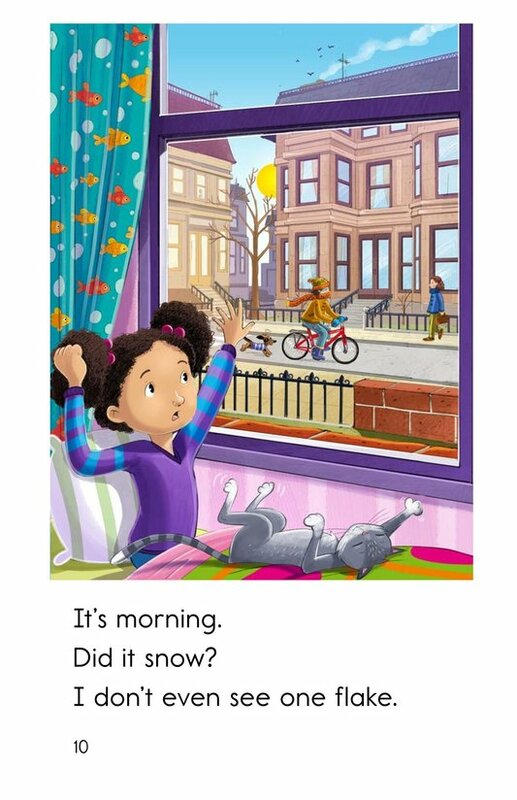 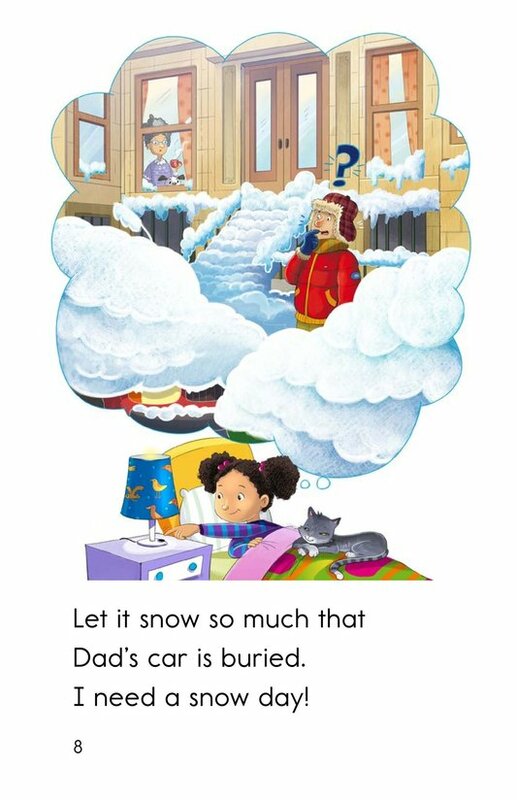 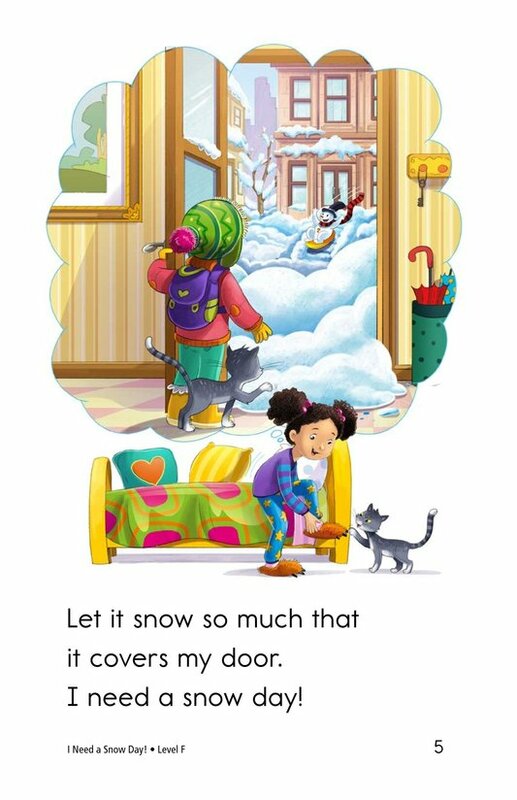 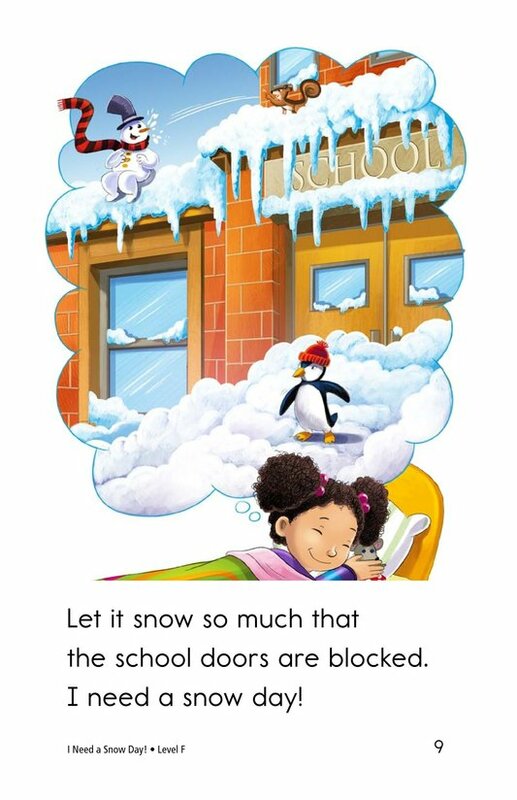 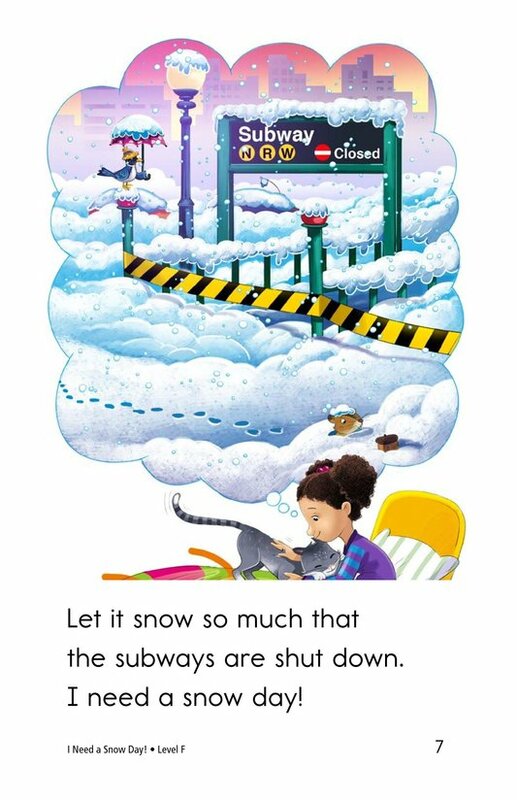 When she wakes up in the morning, will there be lots of snow? 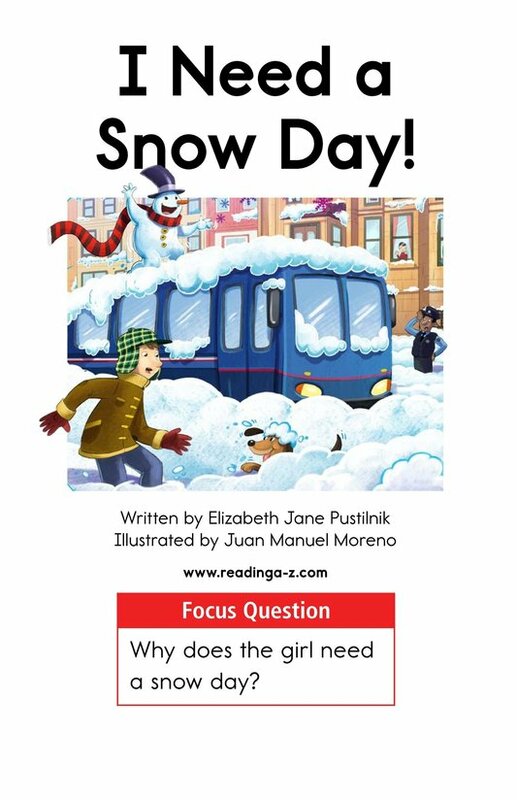 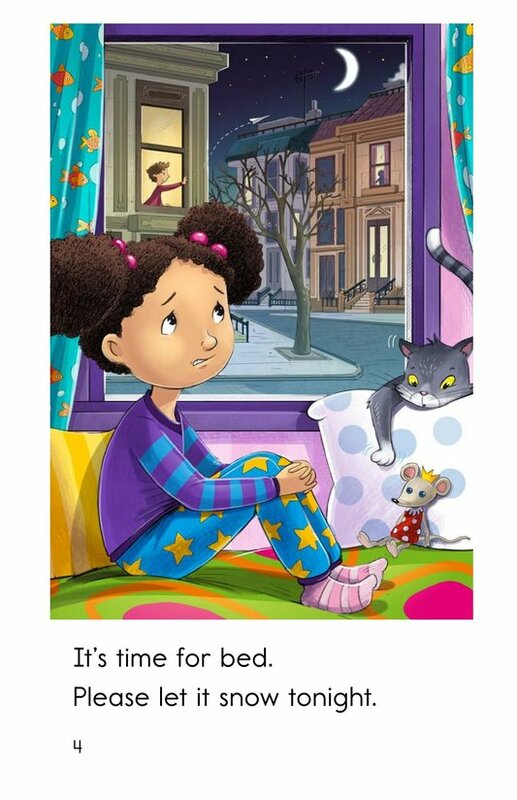 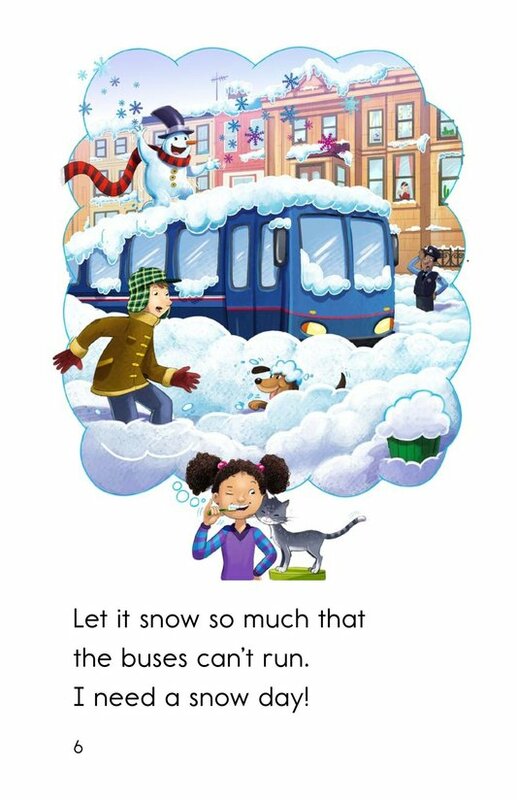 Detailed illustrations and engaging text support emergent readers. 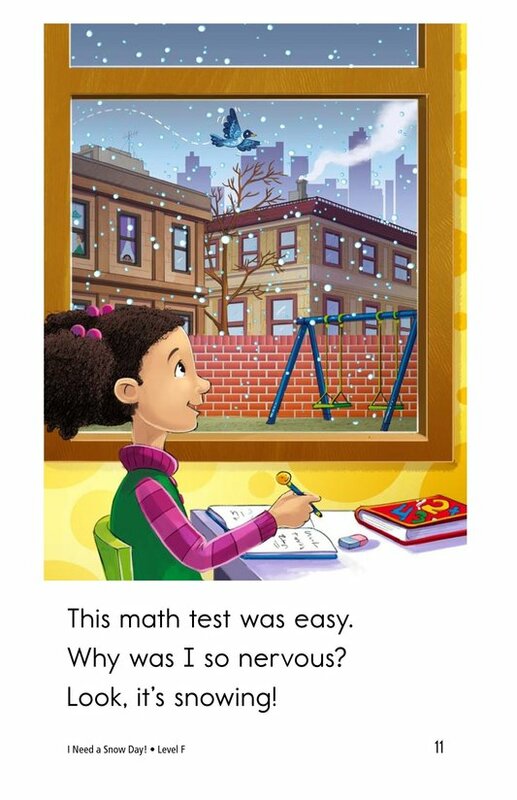 This story can also be used to teach students to determine fact and opinion as well as to recognize and use exclamatory sentences.